During NASCAR's sleepy off-season, Kurt Busch’s itinerary moves at such a breakneck pace that you could almost forget he’s still under investigation for domestic assault. Italy, they say, is lovely this time of year. The fall weather, more crisp than cold, is a welcome reprieve from the oppressive heat of the summer, when the country’s paucity of air conditioning isn’t quite so charmingly rustic. Town festivals abound, celebrating such delicacies as chocolates and truffles. And, best of all, the cost of doing business—for travel, for lodging—is relatively cheap. As excuses for an off-season get-away-from-it-all trip, they’re Grappa-strong. So, for that matter, is the one that Kurt Busch came up with last week. With NASCAR in the early stages of its own off-season, the 36-year-old Stewart-Haas driver jetted off to Monza—a vibrant town in the Lombardy region of northern Italy that is known as much for its old churches as it is for a cathedral of speed called Autodromo Nazionale Monza, the staging ground for Formula 1’s Italian Grand Prix. Last week, however, the Autodromo played host to the Monza Rally Show—a three-day exhibition event that featured, among other things, a 10-kilometer race replete with right-hand turns and road conditions that were far from consistent, much less ideal. Along with those challenges, Busch also had to reckon with a formidable grid, which included YouTube rallying sensation Ken Block. But Busch, ever eager to stretch himself in the cockpit—just last May he came in sixth in the Indianapolis 500—acquitted himself adequately. He flirted with a 15th-place finish before a flat right front tire dropped him to 33rd. Naturally, there are others on the list. This week he’s being toasted in Las Vegas as part of Championship Week, a NASCAR wrap party that is half awards show and half fan convention. This weekend he’s expected to run in the 25 Hours of Thunderhill, a sports car race in northern California. The following week he is slated to team up with Indy 500 winner Ryan Hunter-Reay in the Race of Champions, a cross-discipline exhibition event in Barbados. Busch’s itinerary moves at such a breakneck pace that you could almost forget that he’s still under investigation for domestic assault. Quick refresher: Early in November, Busch’s ex-partner, Patricia Driscoll, 36, filed a complaint with authorities in Dover, Del., alleging that Busch attacked her inside his motor coach while a NASCAR event was being staged at Dover International Speedway the previous month. She claims that Busch, the winner of 25 Sprint Cup races and a series championship in 2004, grabbed her by the face and repeatedly smashed her head into a wall next to a bed inside the coach. Driscoll further claims to have suffered severe pain, difficulty breathing and bruising on her neck in the wake of this incident. Busch, through various representatives, has forcefully maintained his innocence and painted Driscoll in the press as a jilted ex-girlfriend out for money. Meanwhile, Driscoll—a Washington, D.C.-based defense contractor and president of the Armed Forces Foundation, a nonprofit with a focus on helping servicemen and women reintegrate into civil life—has asked that Busch be compelled to undergo counseling. A typical breakup story, this is not. 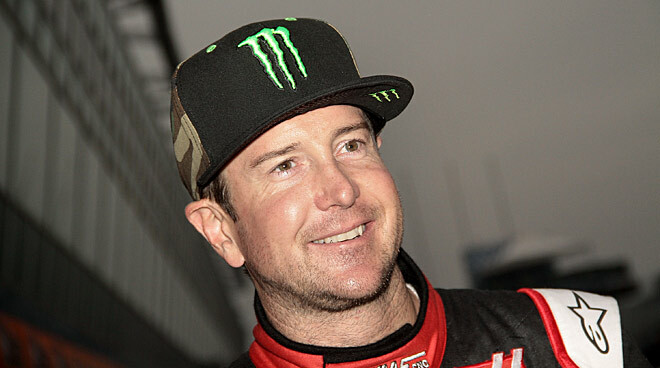 Kurt Busch wears his outlaw reputation with pride. Yet the NASCAR season has been over for two weeks—seemingly ruling out “work commitment” as an excuse not to interview potential witnesses. Furthermore, Driscoll says she has photos to support her claim and that her son was in the room at the time of the alleged incident; she has also offered to take a polygraph test. Further still, Busch—who wears his nickname, The Outlaw, proudly—is well known in NASCAR circles for having a short fuse. He has castigated reporters, apparently flipped off a Secret Service SUV that was carrying first lady Michelle Obama, and berated a Phoenix-area police officer after being arrested on suspicion of drunk driving, an incident that led to his being suspended for the final two races of the 2005 season and effectively cost him his job at Roush Racing. For a time Busch consulted with a sports psychologist in an effort to better control his emotions. Busch and Patricia Driscoll attended NASCAR's postseason bash in Las Vegas last year. —at the Venetian, just an eight-minute walk away down South Las Vegas Boulevard. NASCAR, meanwhile, has no clear and practical domestic violence policy on its books. The most the organization can offer right now is a feel for the issue, which it doesn’t address much differently than any others that fall under the general category of unbecoming conduct. When France was asked last month whether domestic violence might one day be a distinct category in the NASCAR rulebook, the chairman hinted at a possible amendment but didn’t get into specifics. “It’s pretty clear when you see what’s happening around the country and in some other leagues that our policy will reflect the significance and importance that it should,” he said. NASCAR officials, though, can explain their absence: they weren’t invited to participate. But soon they won’t be able to hide behind that excuse, or the fact that they had their own party to attend in Vegas. SI.com has learned that the House Committee on Energy and Commerce is planning its own hearing on the issue of domestic violence in sports for mid- to late-January. The house committee has requested the attendance of the heads of four major sports leagues and their unions, as their senate counterparts did, but with an addendum for NASCAR’s top brass. This time around, there could be serious consequences for the sports CEOs and executives who don’t take the invite seriously—from subpoenas to a withdrawal of financial support in the form of tax breaks and other benefits. 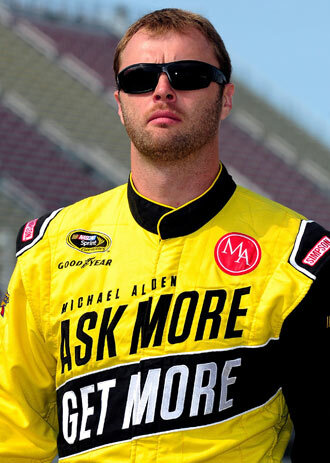 The way Travis Kvapil's assault case was handled may come back to haunt NASCAR. Had it taken the lead on the domestic violence issue, NASCAR likely could’ve spared itself the embarrassment of trial in the court of public opinion. It could have used a domestic violence case that was bungled just a year ago—the one against veteran driver Travis Kvapil, whose career continued after he pleaded guilty in a North Carolina district court to assault and imprisonment of his wife (under the plea agreement, the charges will eventually be dismissed if he completes two years of probation)—into a reason to take a stand on Busch. The longer NASCAR dithers the closer it gets to being shamed into suspending Busch during the season if indeed Delaware authorities bring charges against him. Such a scenario, if legislated by the book, would preclude Busch from qualifying for NASCAR’s playoff, the Chase for the Cup, and keep him from challenging for another series title. And if he can’t win, what use is he to his team? Or his sport, for that matter? But instead of getting out in front of this issue, NASCAR hung back in the draft with everyone else. It’s a laissez-faire attitude that is bought and paid for by the corporate sponsors whose dollars fuel the sport. As a result, issues of morality tend to be viewed through the actuary’s lens and left for the free market to decide. If Driver X were really such a bad guy, then his sponsors would pull their funding and his team would have no choice but to park him. Even the enduring silence of Sprint, the titular sponsor of NASCAR’s top series, is telling. Two years ago the telecom firm proudly trumpeted a customer initiative that allows domestic violence victims to extricate themselves more easily from cell phone accounts they share with abusers. Now? The company hit mute. OK, what about NASCAR’s lack of a domestic violence policy? Really, the only domestic violence saga that Cobb felt comfortable offering an opinion on was the one involving Ravens running back Ray Rice—and that came unsolicited. The TODAY Show interviews with Rice’s wife earlier this week had Cobb idling in front of the TV. So it goes in NASCAR, where escapism takes on all forms. You just have to wonder how much longer the sport can get away from it all.